Boasting four new weapon reskins, four new maps, one new game mode and 14 new cosmetics, Invasion is breaking new ground for community updates. Taking a leaf from the success of the Gun Mettle update, players now have the option of purchasing an ‘Invasion Community Update Pass’ that drops event crates that contain the items in Unique, Strange, Unusual, and Strange Unusual form. 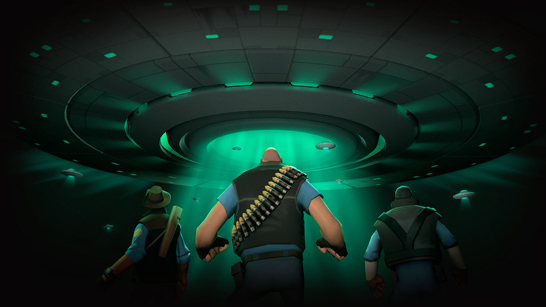 Completing the picture are new space-themed unusual effects and an all-class taunt! All proceeds go to the community team that prepared and developed this update! Movimientos primarios de categoría….probando hoja.